Casa La Playa truly offers you the best of the beach! 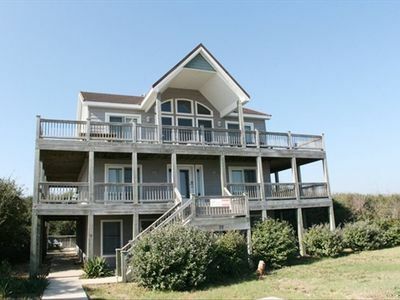 This beautiful lakefront home offers sightings of the osprey feeding and the gentle sounds of nature from ALL levels. 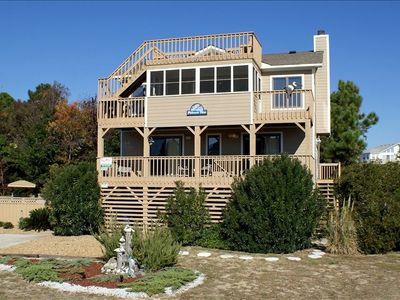 Wake up in the morning to sip coffee on your screened in porch or venture out to the back yard for a day of fishing! 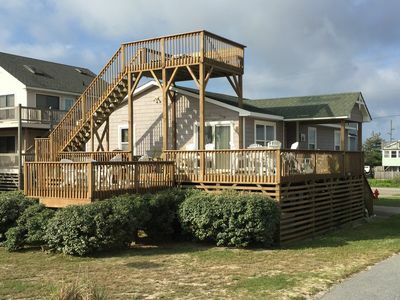 (Catch and Release Only) Featuring an open and spacious floor plan, everyone in your family can gather together for meals or enjoy more private moments on one of the many decks overlooking the lake! The top level also features a loft, perfect for diving into a novel or simply enjoying some peaceful reflections. 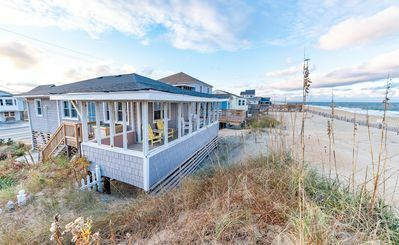 Just a short stroll from the house, your toes are in the sand. 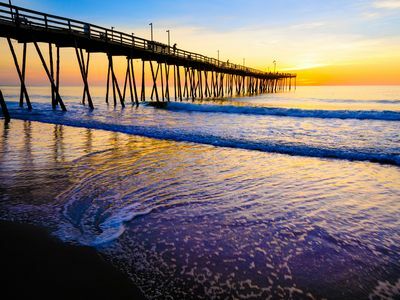 Spend the day relaxing in the sun, catching waves, or walking along the pristine beaches of the Atlantic Ocean in search of seaglass to bring home as a memoir of your vacation to the Outer Banks. 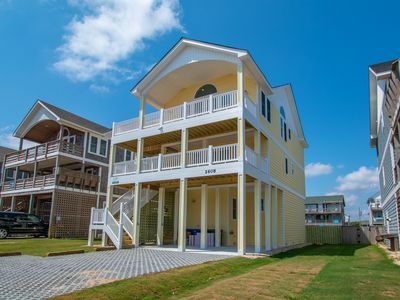 At night, enjoy cooking out on the gas grill, sipping wine out on the deck, and building memories with your family that will last a lifetime. Don't forget to bring your fur babies along for the family vacation! This home is pet-friendly. 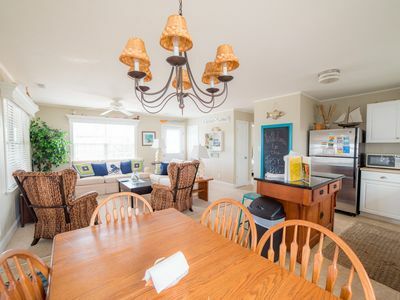 Casa La Playa is located in the Sanderling Community featuring natural surroundings of a bird sanctuary, nature paths, sound accesses, community pool and tennis (pool free tennis for a nominal fee). 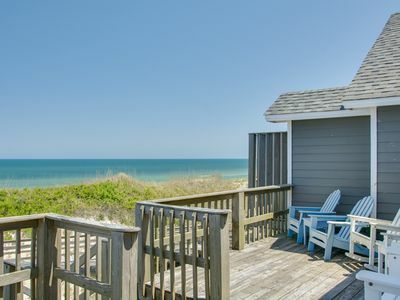 An Outer Banks vacation experience is not complete without a visit to the award-winning Spa at Sanderling. After a busy day on the beach or exploring the surrounding area, the Spa at Sanderling is the perfect destination for your physical and mental rejuvenation. 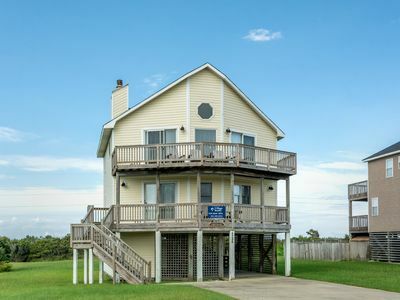 With views of the tranquil Currituck Sound, its ten treatment rooms offer coastal and seasonally inspired massage, body and facial treatments. The spa provides packages, special event and group offerings. 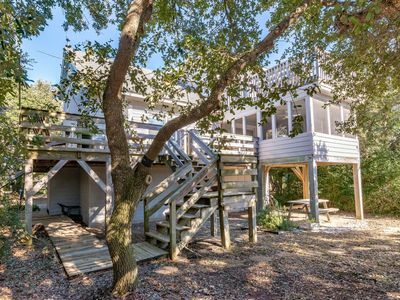 Outside: Parking, Outdoor Shower, Multiple Decks w/Lake Views, Charcoal Grill, 2 Picnic Tables, Swing. Lower Level: Entry, Half Bath w/Utility Sink. 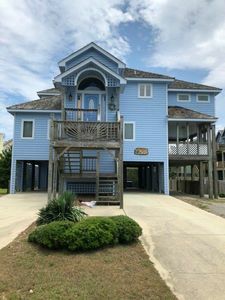 Mid Level: Kitchen w/Breakfast Bar seats 2, Dining Area w/Table seats 6, Access to Screened Porch w/Lake View, Great Room w/Deck Access, Bedroom w/King w/Semi-Private Full Bath, Laundry Room w/Washer & Dryer. 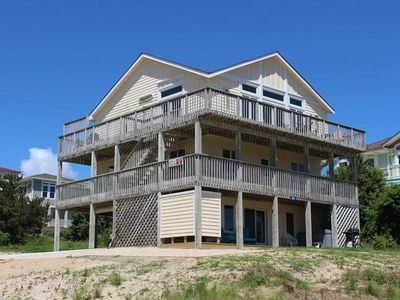 Upper Level: Bedroom w/2 Twins, Bedroom w/Double, Full Hall Bath, Den w/Flat Screen TV, Access to Sun Deck w/Lake View, Built-in Ladder to Loft Area. 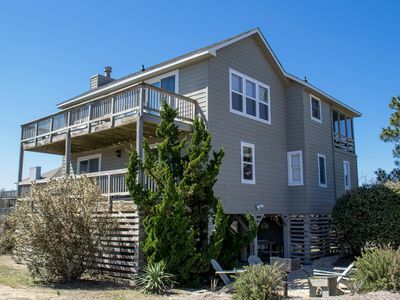 Dolphins Walk: Gorgeous home with gorgeous ocean views! 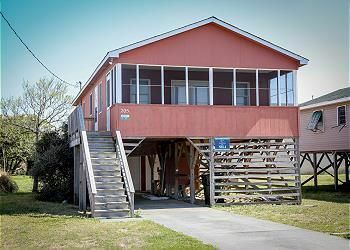 Well-appointed oceanfront duplex. 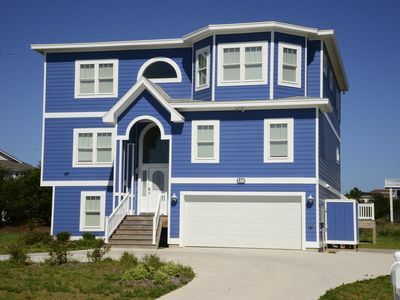 Blue Paradise: Pet friendly oceanside home offers private pool and game room with pool table. 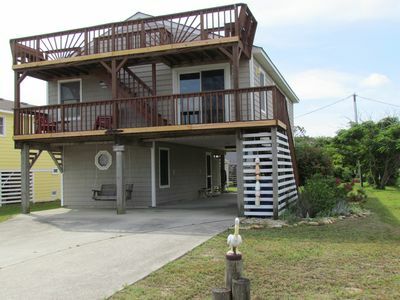 Oceanside family friendly living with hot tub and views galore! K0262 Shore Break. 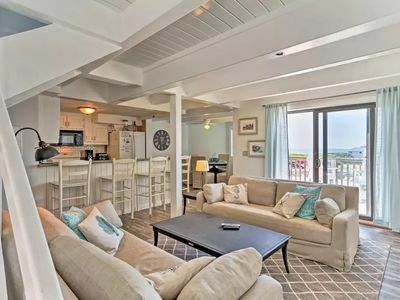 Ocean Views, Kayak, Pets Allowed, Sheets & Towels! 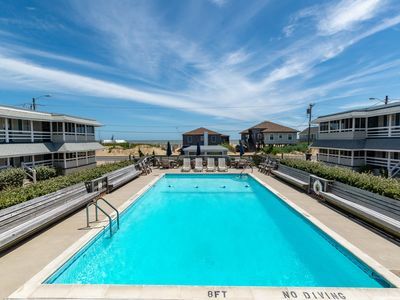 PET FRIENDLY Oceanside , short walk to beach. 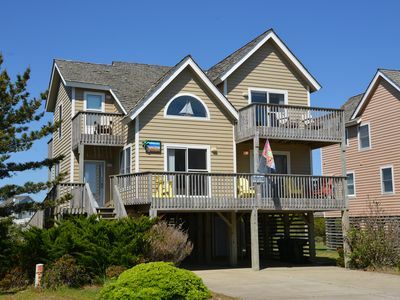 Nags Head! 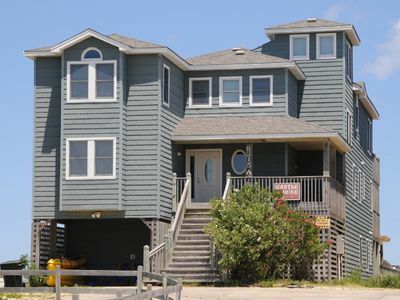 Carolina Sol: Semi-oceanfront with community pool, tennis court, 4 bedrooms, close to beach access. 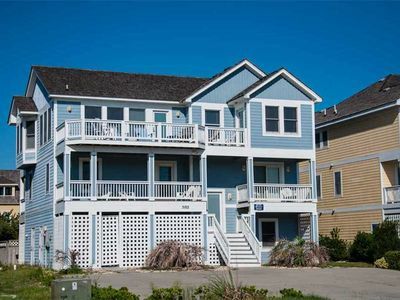 OCEANFRONT Condo in Duck, NC!